Everyone know's October is the spookiest month of them all. Get in the Halloween spirit with a trip to Romania! You can always rely on October to provide unexpected moments, scary or not. Haunted happenings are underway all around the world, but you can Count on Romania to give an authentically vampire vibe. Heading to Romania will satisfy your need for tracking legends and exploring fantastical places while you travel. Romania is the October destination for spooky travel. Rich in history and culture, Romania is elegance layered with history. With enigmatic landscapes and cobblestone streets, there is no denying the inspiring awe you’ll feel exploring this beautiful, vibrant, and enchanting country. In October, the weather is still warm and the nights are getting cool in Romania. Fortified churches stand majestically against an immaculate landscape; charming cities are colored with the energy of a rich culture; networks of hiking trails and camping huts call to travelers as a place to rest their heads at night. Get lost and find yourself under the stars of Romania, where you can discover an off-the-track destination. 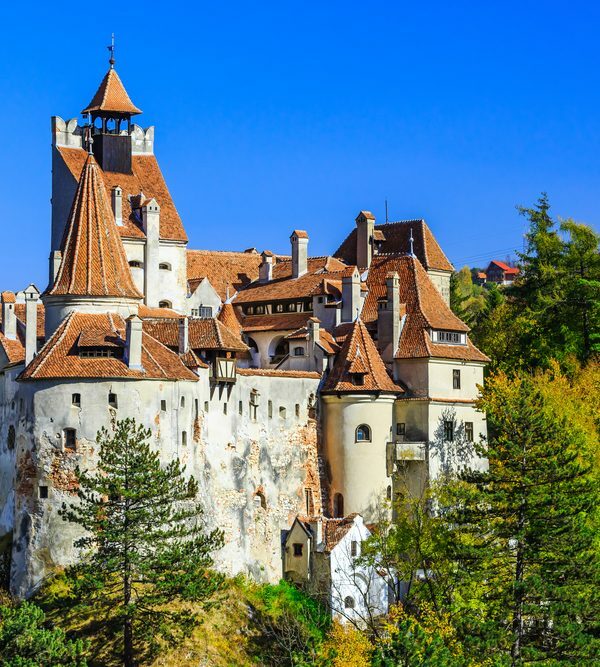 Start with the home of the most famous vampire, Dracula, at Bran Castle. Visit Romania’s capital and largest city Bucharest, a center for culture, industry and finance. You’ll find every facet of Romania’s identity in this dynamic city. The city’s elegant architecture and sophistication in the period between world wars earned Bucharest the nickname of “Little Paris.” Visit an equally important cultural center in Sibiu, and take a day to visit the Wooden Churches of Maramures. Take an adventure in the wonders of the Carpathians and Danube Delta where you’ll be amazed by the natural life surrounding you. The country has had a bad rap due to its history, but it has turned into a dynamic and energetic locale. Budget a few days for museums, strolls in the parks and trails, and lunches at the cafes. While modern architecture has flourished in the country in its more recent years, you’ll find some splendid 17th century Orthodox churches tucked away in quiet corners of Romania. Be sure to visit the Palace of Parliament, the third largest building and second largest administrative building in the world, where communism meets capitalism in a crass tribute to the dictatorial history Romania has seen.